One of the reasons why OJO is so OJOmazing is the tip-top technology we use. From the best game providers out there to our first-class platform and features, it’s fair to say that OJO is way ahead of the casino-tech game. I mean, have you seeeeen our most recently updated mobile app? It’s seriously the bee’s knees and makes your OJO play-time even better than it was (if even possible). Our regularly-updated technology makes for the best gaming experience ever, with effects that are beyond compare. The fire in Vikings Go To Hell makes you take a giant step back, the flying coins in Book of Gods will have you reaching to grab one out of the screen and our karate-swinging friend in Ninja Master – well that is some serious martial arts right there! Let’s face it, it’s the technology that we count on and it’s the technology that enhances our play-time! Who wants to win some AWESOME TECH PRIZES?! How cool would it be to have some serious top-notch equipment to enhance your play-time to the max?… and to show off to your mates obvs. 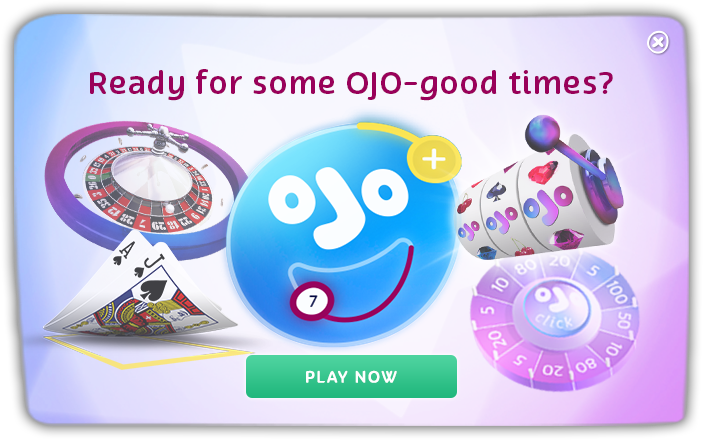 Well, just take a look at what OJO has got up for grabs… oh there’s also Free Spins…lots and lots of Free Spins! Taking part is easy and involves a trip to our Facebook Page and a good ole’ read of this blogpost! Go to our Facebook post. In the comments section, write down any 2 of the 3 slot games mentioned in this post. 10 winners will be randomly selected to receive one of above prizes! This competition will run from 15th – 18th November. Winners will be announced on 19th November.